Here is a recap of the good, the bad, and the REALLY BAD from this year’s Oscars. The Oscar Night is arguably the most glamorous photographed and televised event in the world. It’s quite literally become very much like the Super Bowl, where commercials are the dessert of the game, and what many people only care about, fashion is to the Oscar Night. The rise of fashion as the focal point can directly be attributed to the late Joan Rivers. Not only was it her who 20 years ago began to start asking on the red carpet, “Who are you wearing?” but in more recent years she would critique the red carpet style do’s and style don’ts on her television show, “Fashion Police”. She had a unique and unapologetic view which I appreciated, and whether you agreed with her views or not, you had to applaud her honesty. She was wealthy and found it inexcusable for people to dress in ill fashion who should know better, especially wealthy people who could afford to pay people to tell them what to wear to be anything but glamorous and well dressed! I too find it inexcusable to not put thought into what you wear when what you wear does matter. Having lived in Los Angeles my whole life I can assure you I have seen quite a bit of awful dressing, but as I joke with those whom I know, “I’m trying to save the world from one badly dressed man at a time.” And that my friends, is my one of my goals in bringing luxurious Italian fashion the world over. Nice white dinner jacket – my criticisms would be the bow tie was a bit too small and couldn’t his wife adjust it so it wasn’t crooked in every picture! Velvet bow tie was a nice touch, vintage stud set needed to be tweaked as the top stud was dangling. Tuxedo fit great, best watch of the night! 1960s Rolex Daytona “Paul Newman” model in all gold. Shawl collar Giorgio Armani tuxedo, well tailored. Stay tuned for part 2 on Thursday, profiling the BAD of Oscar night! 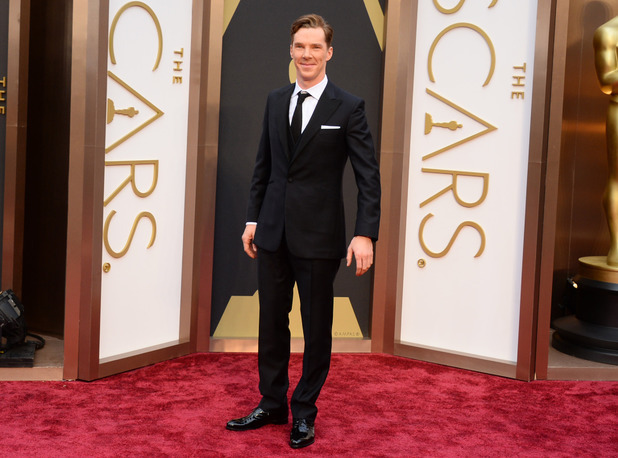 Posted in Style The Finest, The Gentlemen's Club and tagged best dressed, Menswear, oscars 2015. Bookmark the permalink.